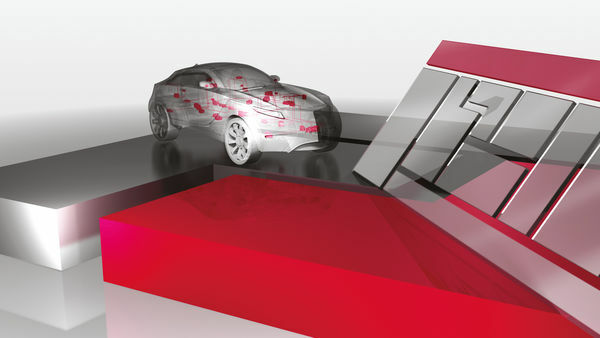 An alternative to the OEM-specific CANbedded solution is the use of AUTOSAR basic software. Vector assists you in selecting the best solution for your special application. Contains queues for sending and receiving J1939 messages (PGNs), static address claiming (J1939 NM) and an interface to OSEK/VDX-OS and other operating systems. The IL provides standard access to the signals and parameters of PGNs with variable CAN identifiers (node address, priority). Optionally, the J1939 Base Module offers the ability to implement multiple ECUs with different ECU addresses on a single hardware unit (virtual ECU). The CAN driver handles sending and receiving of J1939 messages. It is hardware-dependent and is available for many commonly used microcontrollers. Transport protocol for broadcast messages per J1939-21. Transport protocol for point-to-point transmission per J1939-21. Support for dynamic address assignment per J1939-81. Routing of J1939 messages to other J1939 buses using configurable filter rules. ETP and FastPacket transport protocols, working sets. Software component for transmitting data > 8 bytes according to ISO 15765-2. In addition, OEM-specific variants are available. MICROSAR OS is a preemptive real-time multitasking operating system with properties that are optimized for use in microcontrollers. The AUTOSAR specification for operating systems according to scalability class 1 is based on the OSEK/VDX standard. That is why MICROSAR OS gives you an alternative even for non-AUTOSAR environments.